It’s Cherrelle 1st Birthday Party ! Hello everyone, it’s Ouji here again. My team and i did a venue balloon decoration for the party. The theme is hello kitty, girls’ all time favorite! 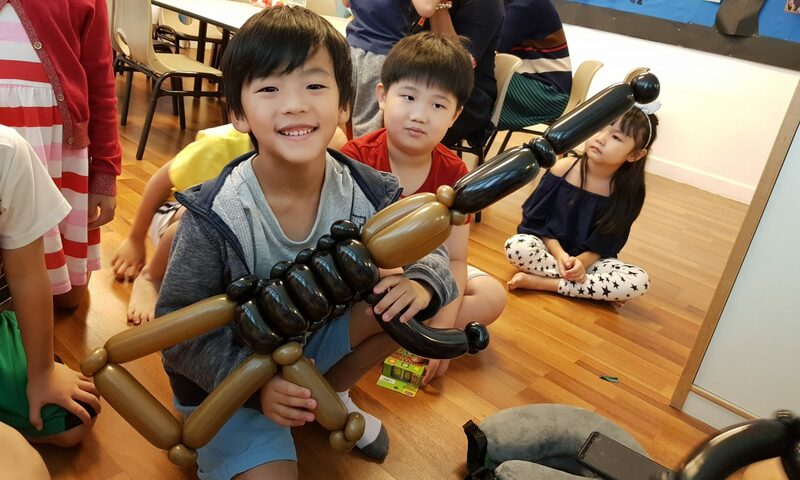 The decor consists of helium balloons on the ceiling, helium bouquets on the ground, foil alphabets backdrop and a front row balloon sheep sculptures display. Next, i would like to show you some balloon decorations i did for a 21st birthday party. 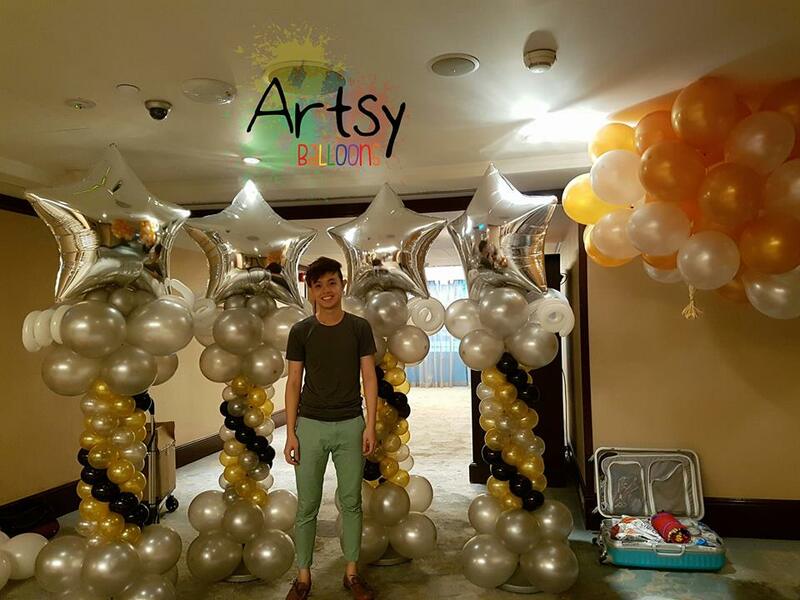 These are 4 Silver foil stars balloon columns and a huge bundle of helium balloons. We then bundle the helium balloons into clusters of 5 and scatter them around the ballroom. I will keep you guys posted on more interesting events which i have yet sort out the photos! 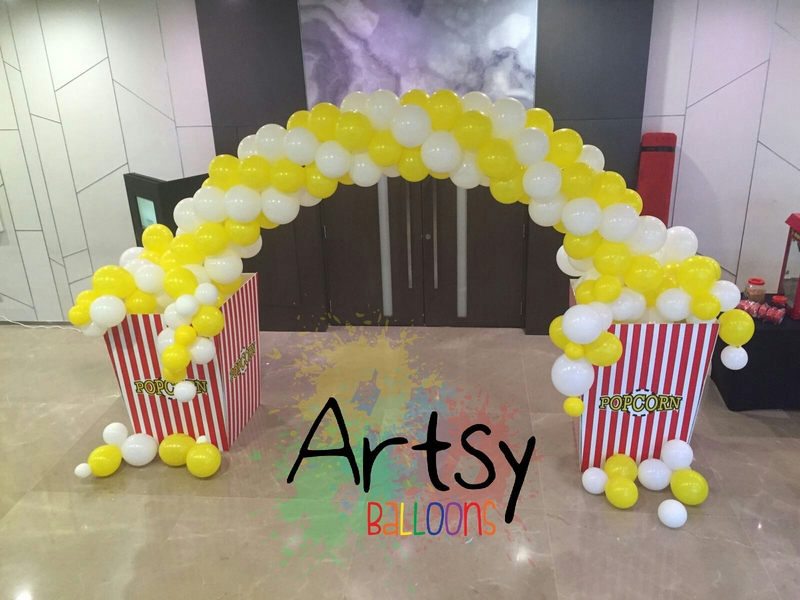 This balloon arch is perfect for carnival and popcorn themed parties. My good friend, Norvin helped me out with this popcorn arch. And it really looked awesome. love the popcorn popping out of the boards. haha! I’m designing a new board for the popcorn arch. will update you guys if there’s someone getting this arch again. as printing the boards will cost almost $300+.